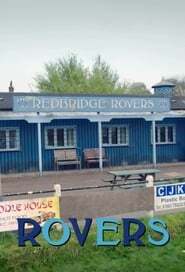 Established in 1884, Redbridge Rovers F.C. are one of the oldest club’s in England – and one of the worst. A new sitcom introducing us to the characters who gather within the social club of a non-league football club. A single-camera buddy comedy about what happens when two best friends come back together, just when they need each other most. Inspired by the ultra-close friendship between the series’ creators and stars, “Playing House” centers on mother to-be Maggie who asks her single and career-driven best friend Emma to return home from her job overseas to attend her baby shower, having no idea what’s truly in store.